Heyo, everyone. Thanks for dropping by. I’m Kim Falconer – Gemini, born in Santa Cruz, California where I wrote my first story at age five. It was about a Halloween cat! From then on I proceeded to daydream my way through school. Fortunately, I now daydream for a living and live on the beautiful Australian coast. My latest release in 2016 is The Blood in the Beginning – An Ava Sykes Novel out through Mira Australia. It’s Urban Fantasy, with a twist, ie no vamps or weres or fairies. Astrology has been a part of my life for over 40 years (my father was an astrologer before me) and I teach astrology and the law of attraction over at GoodVibeAstrology.com. I’m an eternal student, curious about everything! I have a masters degree in Writing, completed while writing seven volumes of the Quantum Enchantment & Encryption Series, including Tatsania’s Gift, and a Paranormal Romance, Vampires Gone Wild. Currently, I’m working on Book Two of the Ava Sykes Duet, and a whole new YA series, Amassia: Phantoms of Aku, in collaboration with my son, Aaron Briggs. News on this is imminent. I’ve also just complete the first draft of a paranormal YA novel called The Cloud Forest. 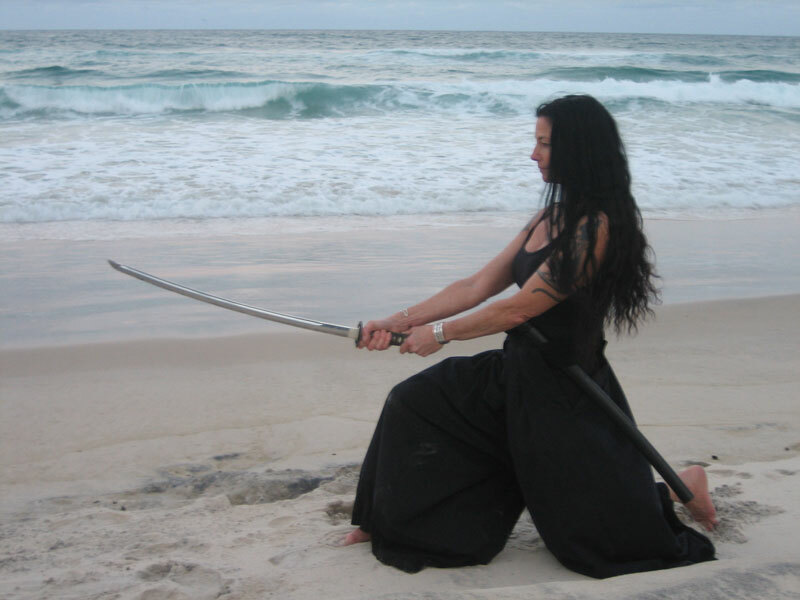 Me 🙂 I love gardening, animals, reading, teaching astrology, HTML/CSS, Yoga, weights, the ocean and Iaido. Influential authors are JRR Tolkien, Traci Harding, Lani Taylor, Kim Wilkins, Tanith Lee, Maggie Furey, Charlain Harris, Nazim Hikmet, Ursula Le Guin, Ann McCaffrey, Carl G. Jung, Liz Greene, Joseph Campbell, Margaret Atwood, Oscar Wilde Alison Goodman … and so many more. Current FAV authors include Kendare Blake, Isaac Marion and Maggie Stiefvater. What a remarkable woman you are! Who has the wonderous good fortune to be in your life? Hi Kim, I have only read The Spell of Rosetta, and just received Arrows of Time (ordered of amazon). I would love to own The spell of Rosetta and the third book, and probably every other book you have wrote! Here in Alberta, Canada I have been told you have been banned. How do I get my hands on your books? Banned? I had no idea the series was that revolutionary! I think it’s a world rights issue but they have reverted to me now so if you want, I can send you copies. It’s just the postage that’s the kicker. Surface mail is about $15.00 a book . . . I can find out and give you a price though. Also, what about fishpond.com with their free shipping?